* Especially for the complete beginner photographer. * Bring whatever camera you have, from DSLR, compact camera, mirrorless, to iPad, tablet, smartphone or iPhone camera. * Discover what all the knobs and dials on your camera are for. * In a small group you will be able to ask questions & get hands-on pointers with your camera. 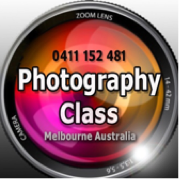 * We will cover the photography essentials like exposure, aperture, ISO & shutter speed. * If you’ve ever wanted to learn the secrets behind capturing breathtaking photographs, this class is for you. To book in simply please press the orange arrow above!